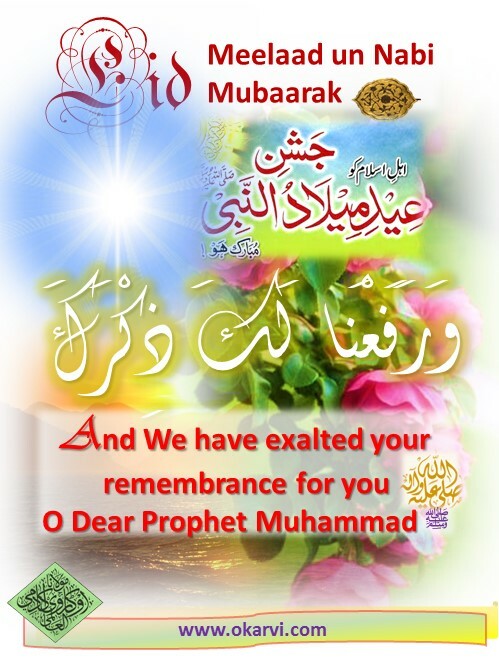 Wa RAFANA LAKA ZIKR-WE HAVE EXALTED YOUR REMEMBERANCE!!!! Is It Permissible to Celebrate a Day? 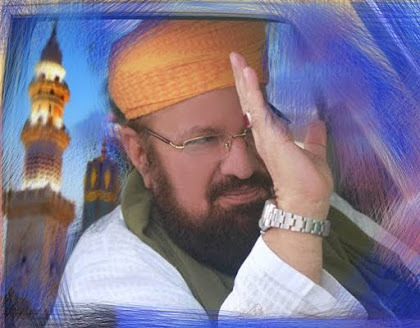 The true believers know that Almighty Allaah’s greatest blessing is the King of Both Worlds, the Reason of all Creation, The Mercy Unto the Worlds, the Intercessor of the Sinful, Hazrat Ahmad-e- Mujtabaah Muhammad Mustafaa (Sallal Laahu 'Alaiehi Wa Sallam). All other blessings are because of him, if he was not created than nothing else would have been created. 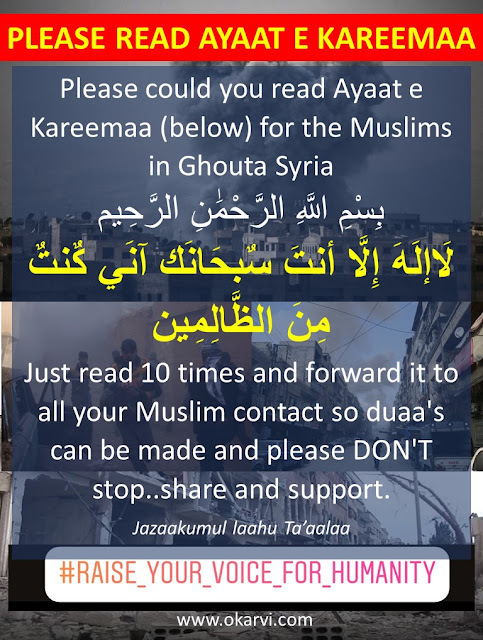 So to revive the memories of the day that the greatest blessing was bestowed and to tell others that this is the day Allaah bestowed great blessing on all Muslims by sending His beloved Prophet (Sallal Laahu 'Alaiehi Wa Sallam)is definitely obeying the command of Allaah. And to follow any command of Allaah is not an innovation but is a cause of blessing and mercy. Based on this, consideration must be given to those days on which great events took place and Divine blessings were bestowed on respected holy people of Islaam. 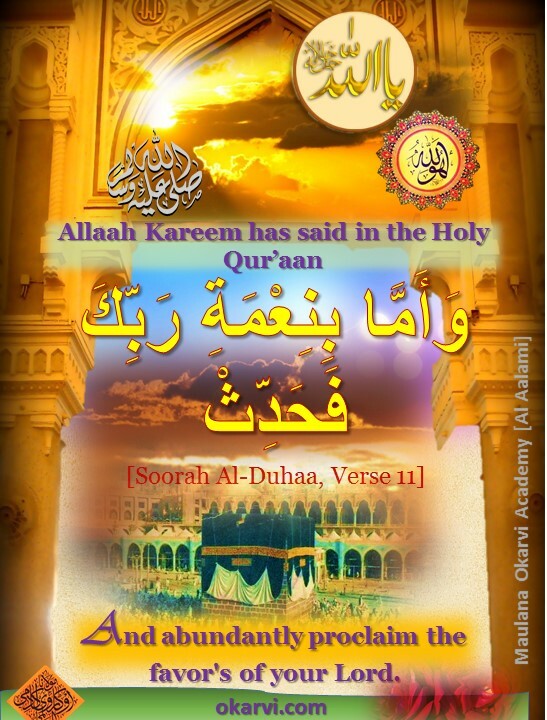 H azrat Imaam Hasan [Radiyal Laahu ‘Anhu] received the greatness of ‘The Secret Martyrdom’ [Shahaadat e Sirri] and Hazrat Imaam Husaien [Radiyal Laahu ‘Anhu] received the greatness of ‘The Open Martyrdom’ [Shahaadat e Jahri]. 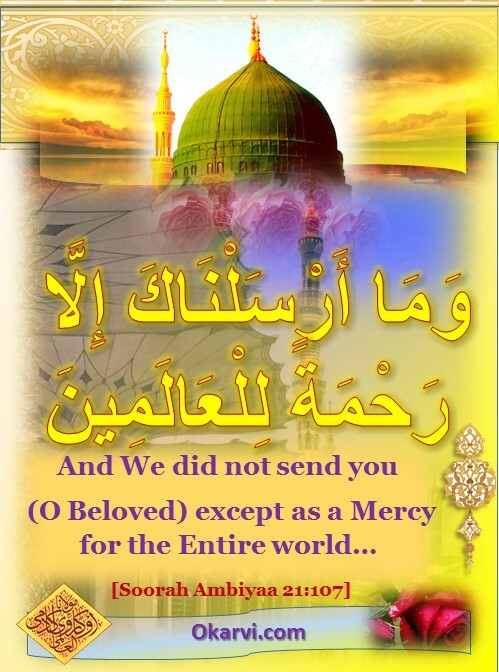 This in reality was the greatness and emanation [Al-faayz] of the Holy Prophet [Sallal Laahu ‘Alaiehi Wa Sallam]. "They are dead." 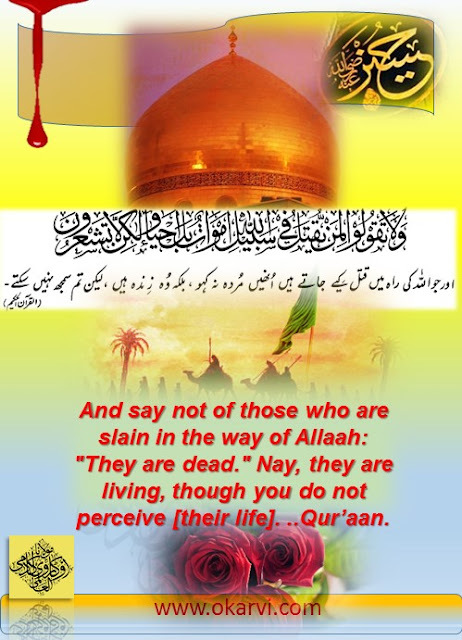 Nay, they are living, though you do not perceive [their life].